Hot funk, cool punk, even if it's old junk, It's still rock and roll to me. Lovefilm DVD/ Bluray Rental Ends. Art of Noise to Play Live in Liverpool on May 25th. Record Collecting- Things We Should Have Kept! 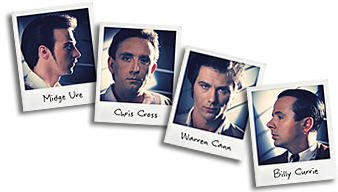 If you love Ultravox, you probably like...share some!